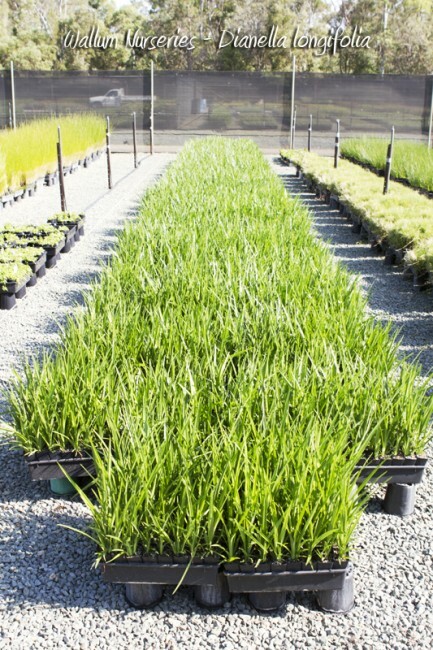 A spreading grass with soft linear dark to light green strap-like leaves, height to 80cm. Pale blue flowers with yellow stamens on a rigid stalk up to 1m high, flowering from August to January. 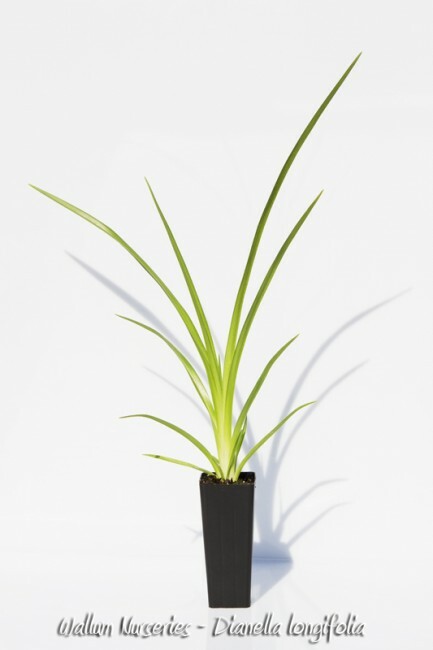 Widely used in revegetation work, very useful and attractive drought tolerant plant for the garden.